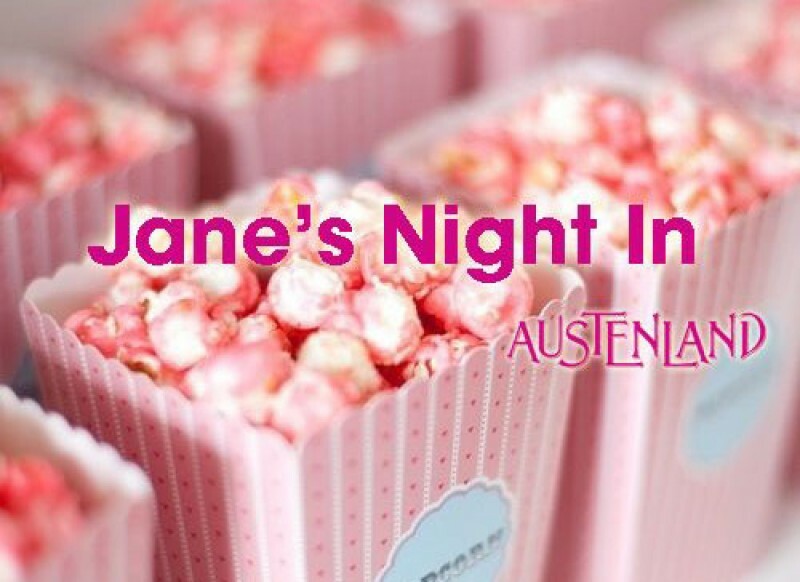 To celebrate the release of Austenland, we planned a girls night in by inviting bloggers, sites, authors and VIPs to throw their own Jane’s Night In, invite their pals and watch the film across the country. 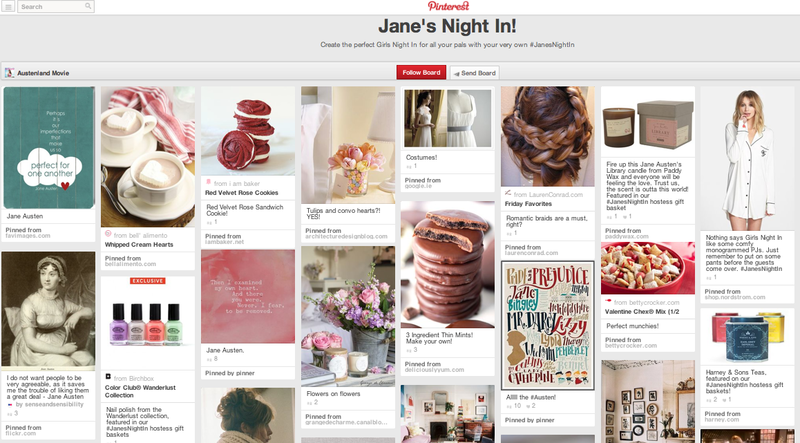 If you need an excuse to throw a Girl’s Night, might we suggest hosting your own Jane’s Night In? You can get ideas for our Pinterest board and check out all the goodies we sent our hosts along with some curated inspiration for your own party! If you weren’t following along with our hashtag #JanesNightIn you probably missed some amazing moments Friday night. As part of the fun, director Jerusha Hess took over the Austenland social channels for the night and posted pictures from her very own Jane’s Night In party. To use the word “epic” to describe her party, might just be an understatement. Austenland author, Shannon Hale threw her own party with this distinguished guest. A small peek at just some of the images you’ll see when you search the #JanesNightIn hashtag on Instagram and Twitter! Austenland comes out on DVD, Blu-Ray and Digital download, Tuesday February, 11th!